See more objects with the tag women's fashion accessories, personal environmental control, collapsible, luxury, feathers, ostrich, cooling, texture, tortoise. See more objects with the color darkolivegreen dimgrey rosybrown black or see all the colors for this object. This is a Brisé fan. It is dated 1880–1900 and we acquired it in 1954. Its medium is ostrich feathers, tortoise shell sticks, silk ribbon. It is a part of the Textiles department. 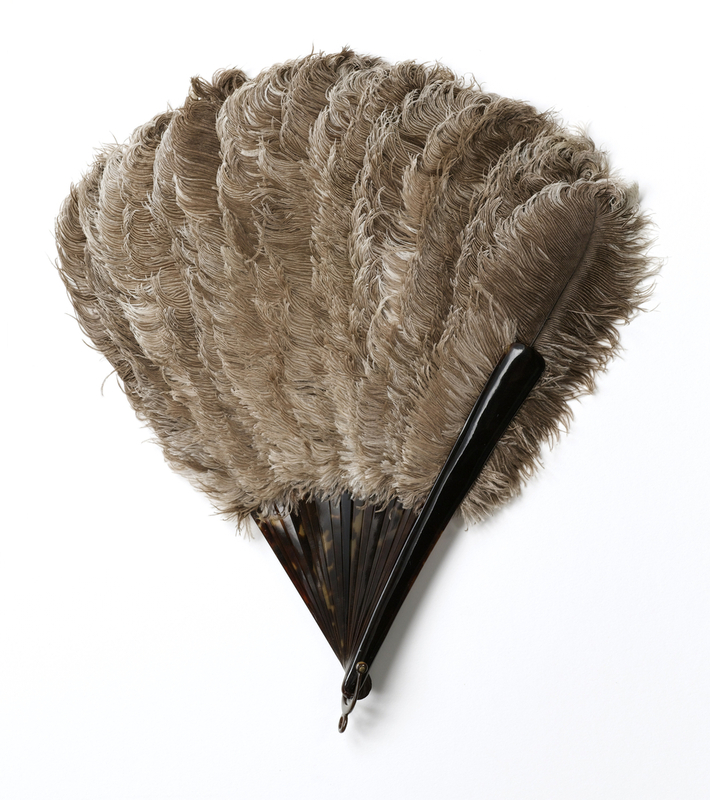 Ostrich-feather fans, often dyed, shaded, or streaked with color, were popular fashion accessories for formal occasions. Dyed ostrich feathers were also used to embellish hats, muffs, dresses, and wraps. This object was donated by Ina K. Pitner. It is credited Gift of Ina K. Pitner. 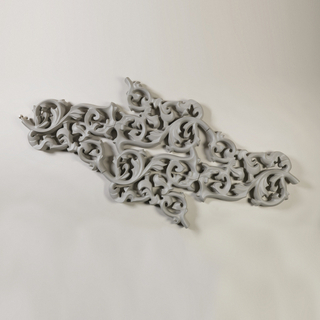 molded polyconcrete (polyester concrete), aluminum.